It’s the perfect spring weather right now. Warm enough during the day to be outside without a sweatshirt but cool enough in the morning and evening to comfortably cuddle up with a nice cup of coffee or a latte. Of course, this weather has been a long time coming and still is about 20 degrees below where we normally are right now. 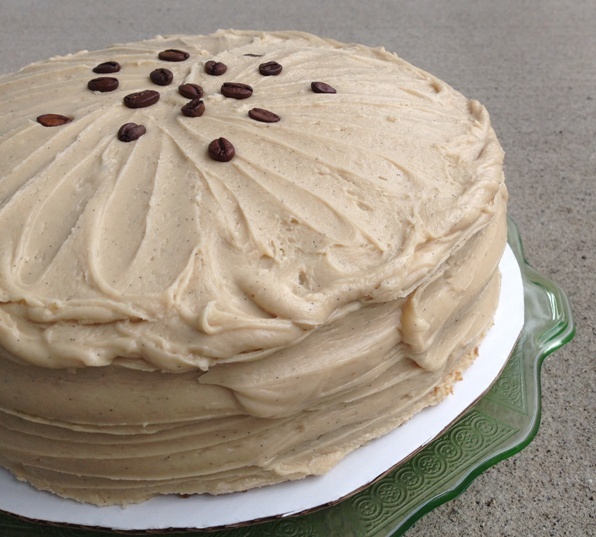 Posted in Fun Stuff, Sweet and tagged brown sugar, Caramel icing, Instant espresso, layer cake. Bookmark the permalink.